We are listed among the eminent manufacturer and exporter of the highly effective array of Tile Adhesive and Primer. This offered product range is admired for their high purity and accurate processing. 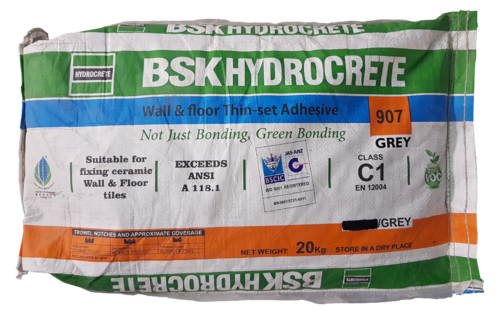 Hydro Build Enterprise has gained regard among the prominent manufacturer and exporter of best quality Tile Adhesive, Concrete Epoxy primer, Waterproof Grout, Rubber Float, Plastering Trowel, Marble Adhesive and much more since 2016. The offered products are composed using non-toxic and pure ingredients.